Fermentation Soya Protein is biotechnology processing fermentation of dehulled soy bean mealby Lactobacillus acidophilus. The process is the know-how biotechnology to digest protein structure to smaller molecular weight, increase efficiency digestion and absorption. It also breaks down and reduces antigens (allergens) or anti-nutrient substance by fermentation. 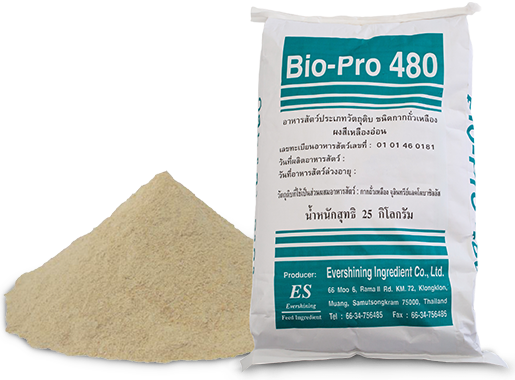 BIO - PRO 480 is a high quality soya protein source for animal, such as young animal and aquatic animals. 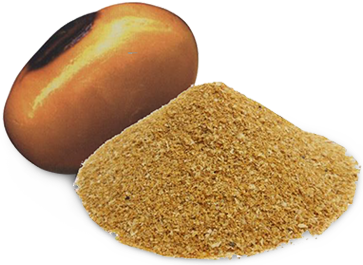 Evershining focuses on the use of protein source in animal feed by replacing fish meal, skim milk, milk replacer and Soy Protein Concentrate (SPC). 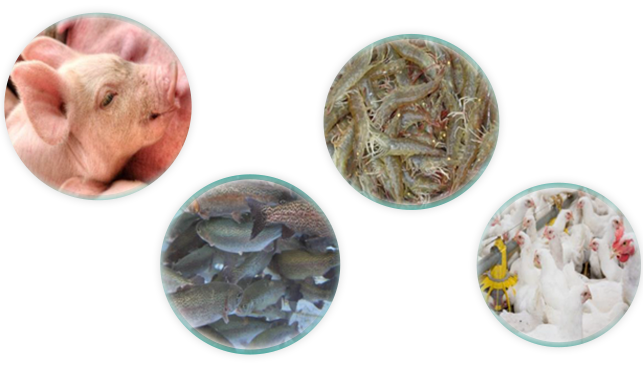 Fermented soy protein can be use in the various kinds of feeds, such as, pig feed, fish feed and shrimp feed etc.